Prepare for management success with this engaging survey of modern management practice. UNDERSTANDING MANAGEMENT, 9E seamlessly integrates classic management principles with today's latest management ideas to create a responsive market-leading text that captivates today's readers. 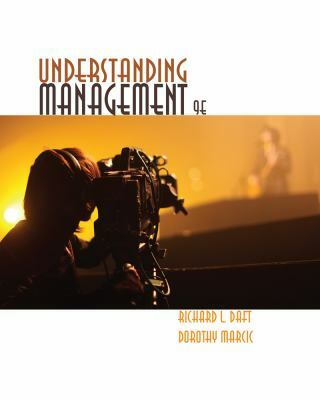 Acclaimed authors Richard Daft and Dorothy Marcic cover management and entrepreneurial issues within small to midsize companies, where most readers begin their careers, as well as within larger global enterprises. Readers gain valuable insights into real contemporary business as they examine today's best management practices. This edition helps readers establish and build on practical skills with engaging examples and numerous skill-building and application exercises in every chapter. Using a streamlined format, this edition takes a close look at how change demands innovation and how innovation requires forward-thinking, flexible leaders and organizations. UNDERSTANDING MANAGEMENT, 9E provides everything you need to become a successful manager who seizes business opportunities and leads change.